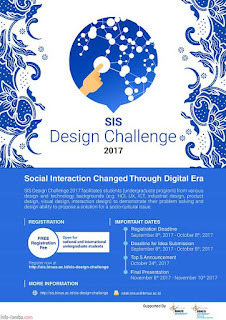 SIS Design Challenge 2017 facilitates students (undergraduate program) from various design and technology backgrounds (e.g. HCI, UX, ICT, industrial design, product design, visual design, interaction design) to demonstrate their problem solving and design ability to propose solutions for socio-cultural issues. This year’s competition theme is “Social Interaction Changed through Digital Era”. Along with the rise of digital era, many people prefer to interact with their friends and parents using application on their gadget. With the theme of “Social Interaction Changed through Digital Era”, participants are asked to create solutions that can improve social relationships between parents and children. Participants of the team contain of 2 people coming from the same University. • System / product design has never received an award or been a winner in similar contests either on a national or international scale. System / product design can be developed on desktop, web, and mobile platforms. 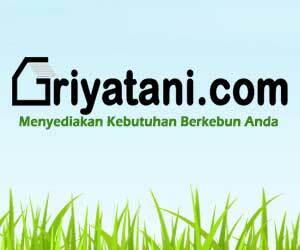 The design of the system / product is able to give solutions based on the specified issue. The system / product design developed using the fundamental rules of UX Design. Design Problem. The design problem for this challenge is “Social Interaction Changed through Digital Era”. Idea Design.Propose some ideas of an interactive technology-based design solution in any forms, such as Mobile application, Website, and Desktop Application to solve society problems. Design Deliverable. Each Team must upload their poster (A2 Size in PDF format, max 50 Mb with High Quality Picture). 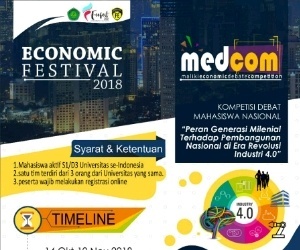 Poster consist of the following content: Team Name, Brief Description of the application, Background, Objectives & Benefits, Methodology, Demographic, How to Use the Application, and Application Scenario. (Do not mention your University name on your poster design). Idea Submission.Upload your Poster IN HERE. Deadline of the idea submission is October 8, 2017 – (23:59 Western Indonesian Time GMT +7). Top 5 Finalist Announcement will be sent to each team by October 24, 2017. Judges will choose 5 best team to compete in the Final Round. The poster design has never received an award or been a winner in similar contests either on a national or international scale. Poster must be delivered in English. Design Challenge Invitation. 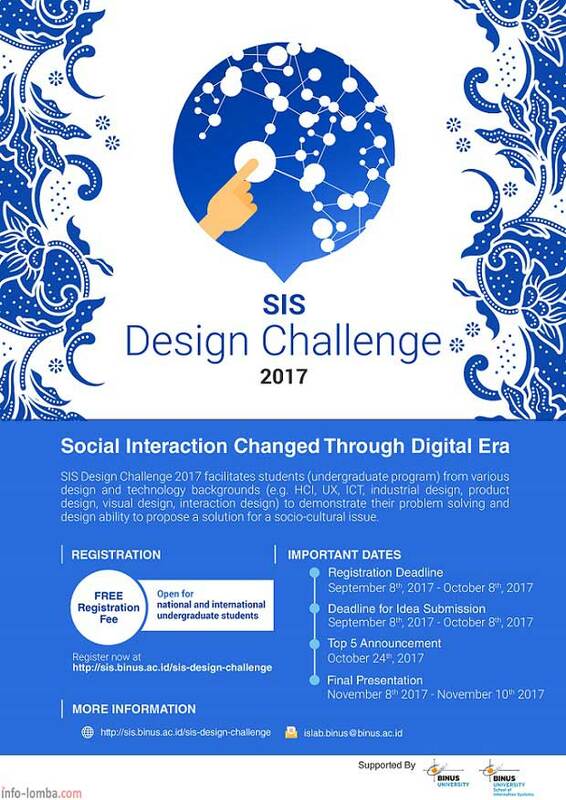 Teams who get passed are invited to participate in SIS Design Challenge Final Presentation that will be held on November 8-10, 2017 in Binus University, Kemanggisan, Jakarta Barat, Indonesia. For Non-Binusian Team will stay at Binus Square & will be provided with meals and rooms for 3 days 2 nights. Registration. 5 Best teams must confirm by 30 October 2017 to secure their entries in the challenge. Design Challenge Presentation Day. The Presentation will be held on the 9 November 2017, Jakarta, Indonesia. Final Presentation. Each team must bring Power Point Presentation & Prototype and will be presented for 15 Minutes and 10 Minutes Discussion with the Judges. Selection. Two winners will be selected from 5 nominated teams. Presentation will be held in English. Each Team will be responsible for their own Flight Ticket, the committee does not provide the Flight Ticket to or from Jakarta & accommodation to or from airport/station to Venue. For Non-Binusian Team will stay at Binus Square & will be provided with meals and rooms for 3 days 2 nights. 0 Response to "SIS Design Challenge 2017"